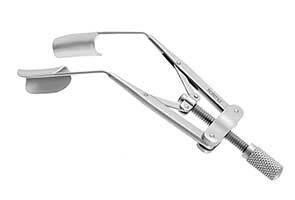 The Chang Hydrodissection Cannula is a 27 gauge hydrodissection cannula for cataract extraction. 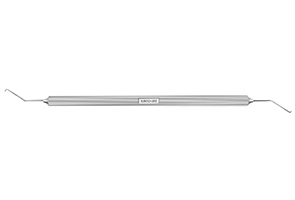 It features a 90 degree angled, flat tip with a beveled opening. 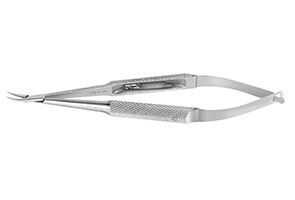 The flat tip provides a broad stream of fluid and can be easily inserted under the capsular rim to hydrodissect in the 10 to 2 o'clock sector. 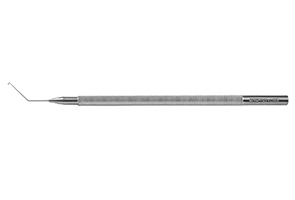 The distal point of the beveled tip is used to rotate the nucleus to ensure that it is completely separated.